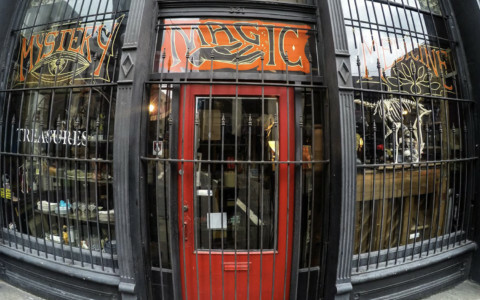 Gastown is a historic, bustling and funky part of Vancouver’s downtown area, known for its great food and drink. It’s no wonder that one of Canada’s largest restaurant chains has chosen to open up a location in the neighborhood. 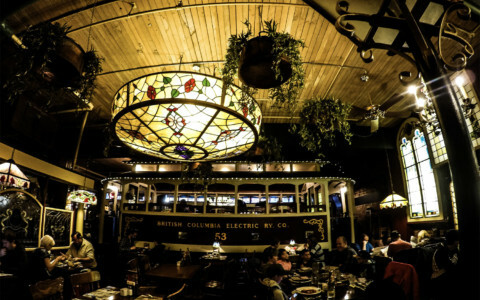 The beloved, family friendly Old Spaghetti Factory has existed within the heart of Gastown since the 1970, leaving it plenty of time and opportunities to ignite its very own ghost stories. Exterior of the building in Gastown, which is home to the haunted Old Spaghetti Factory. 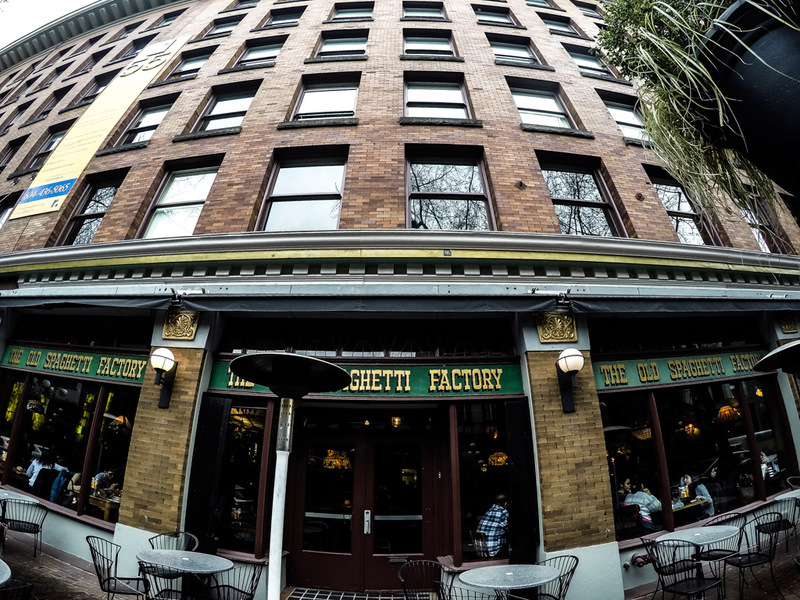 Gastown’s Old Spaghetti Factory occupies what was once a grocery wholesaler’s headquarters. The restaurant opened in 1970 and has accrued a multitude of antique paraphernalia from around the world, offering a uniquely decorated dining experience. 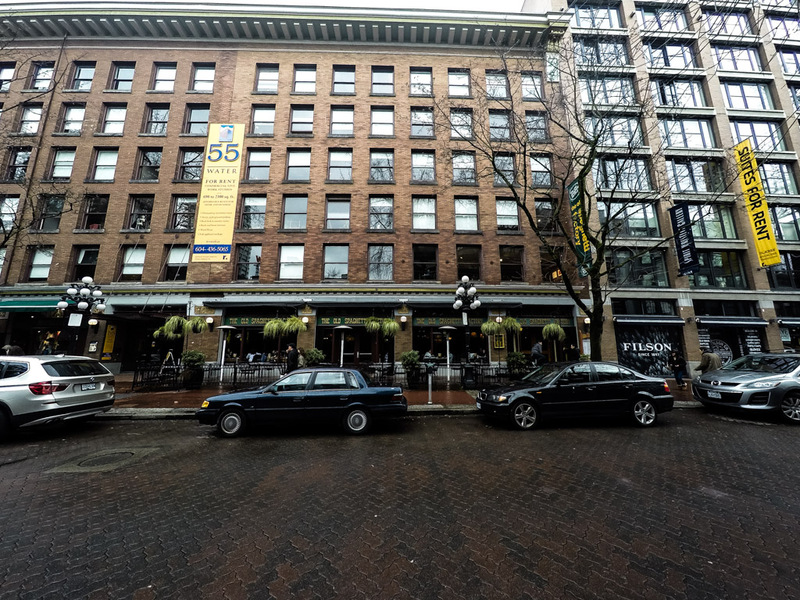 A combination of an older building, filled with items said to have spirits attached to them and the possible existence of a vortex within the property lead many to believe that The Old Spaghetti Factory is one of Vancouver’s most haunted locations. Inside the creepy Old Spaghetti Factory in Gastown, Vancouver. Multiple spirits have made The Old Spaghetti Factory in Vancouver their home. One of the better known of these spirits is that of a tram conductor. The largest artifact was installed within the restaurant in 1969, to align with its opening and help to encourage visits from families looking for a fun and unique place to dine. 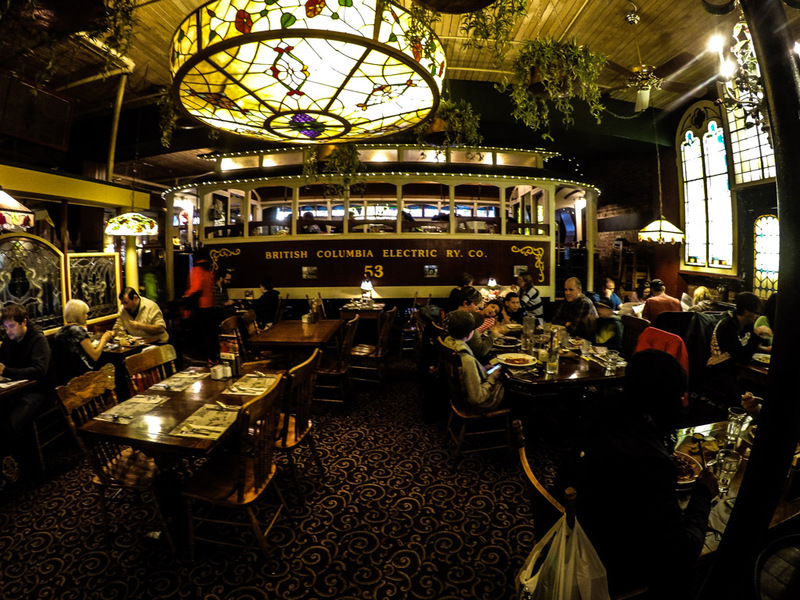 The Number 53 trolley from the British Columbia Electric Railway Company was in service from 1904 through to 1957, and then somehow made it’s way into an eatery and was filled with tables. It wasn’t long after this move when reports of sighting of a gentleman sitting in the tram wearing a full conductor’s uniform started to surface. Along with this came rumors of a conductor being killed in railway tunnels that ran underneath the building being responsible for this haunting, yet it is more likely that this spirit was already attached to the tram. It is most common to see the ghostly conductor late at night and he’s thought responsible for moving around cutlery that has been set on tables within his tram. Looking at the old tram where the ghost of a former controller haunts inside the dining room of the Old Spaghetti Factory. Another far more mischievous entity exists within the Old Spaghetti Factory. Believed by some to be a leprechaun who arrived attached to an artifact, a short red haired fellow isn’t shy to make his presence around the restaurant known. Referred to as both the Little Red Man and Looky Loo, staff have seen this spirit pass quickly through the kitchen calling them out by name. Many guests have also sighted him in the female bathroom, where they have caught him peering through the crack of the toilet door to capture a glimpse of them doing their business. Others have seen him walking out of cubicles and appearing behind them in the mirror before promptly disappearing. Inside the female bathroom of The Old Spaghetti Factory, haunted by a spirit known as Looky-Loo. In recent years another ghost appeared and started to spook staff members. First reported in 2012 the spirit of a small boy was seen by a former staff member. This was late at night after the restaurant had closed and the staff member decided to check on a child she spotted and assumed was lost. As she approached he hid underneath one of the dining room tables. She was shocked after pulling back the tablecloth to see the pale boy’s face, eyeless with black, empty sockets starring back at her. Immediately, she quit her job, never to return to The Old Spaghetti Factory. According to a local psychic, this young boy’s name is Edward and he possibly entered the restaurant through its vortex from a different realm. He continues to be sighted running through the restaurant and hiding under tables by staff. He’s also thought responsible for bending cutlery laid out on tables. 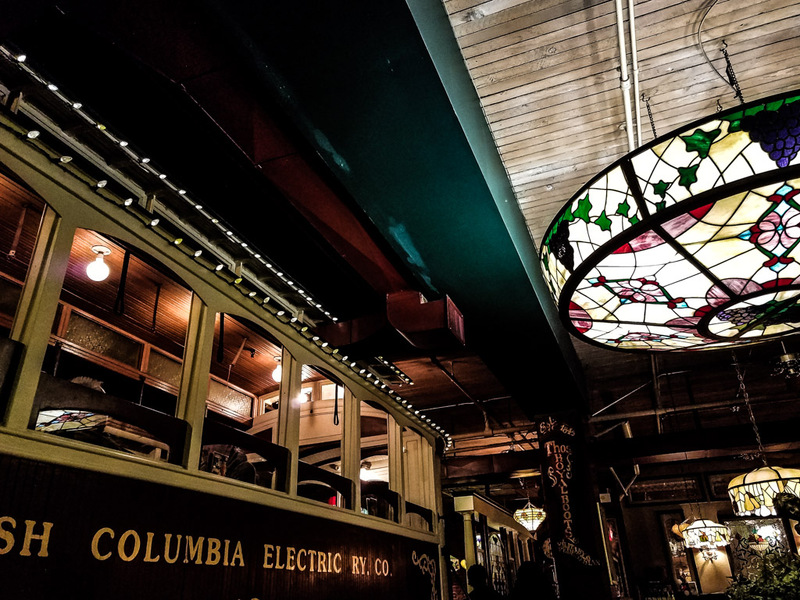 The last ghost seen within Gastown’s The Old Spaghetti Factory is that of a young girl. There is very limited information about this spirit’s origin and not much is known about her. She is always seen sitting at a table near the front window holding onto a balloon. She has had coherent, long conversations with staff who have reported that she seems to be lost and looking for her mother. Staff will generally attempt to assist the young girl, for her to simply disappear into thin air shortly after. 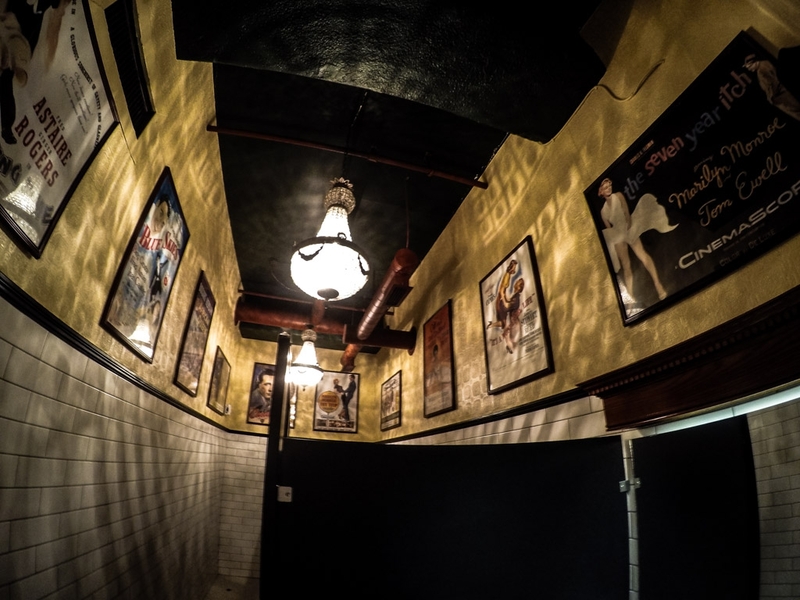 Looking up at the entrance to the haunted Old Spaghetti Factory, in Vancouver. Visits to the Old Spaghetti Factory are a must for anyone who is interested in the paranormal and finds themselves in the midst of Vancouver’s Gastown. It is definitely family friendly and offers up hearty, large meals for a reasonable price. I recommend trying to secure a seat within the tram, which I believe books out fast, and taking the time to look around at the many interesting artifacts displayed on all walls of the establishment. Be assured that this will be a stop on most ghost tours within Vancouver, especially those covering Gastown. 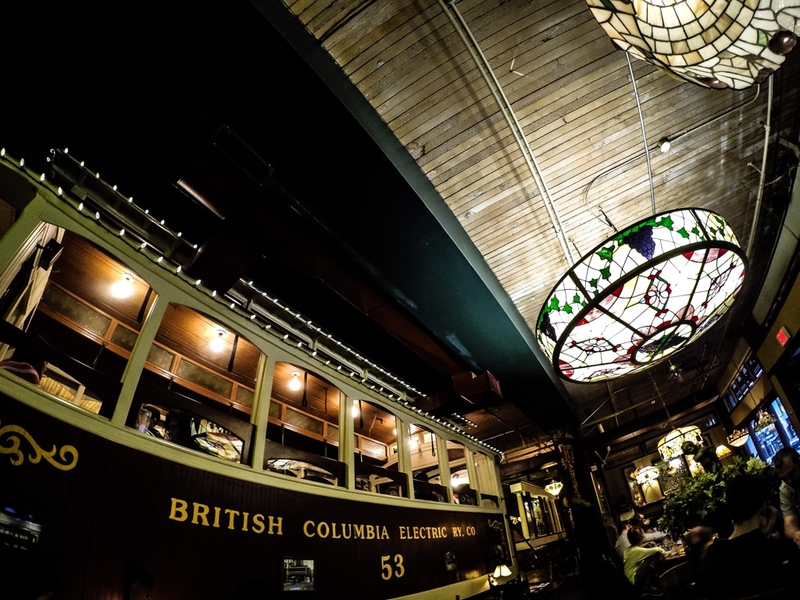 Another shot of the haunted tram inside The Old Spaghetti Factory, Vancouver. 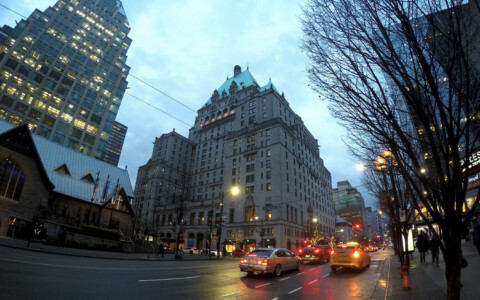 Looking for other spooky places to check out in Vancouver? 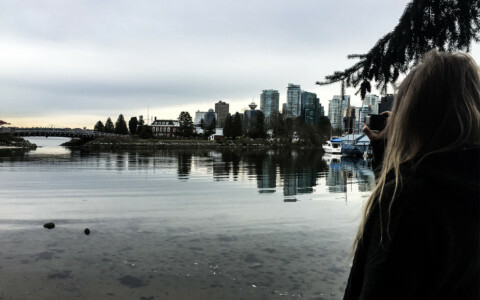 I’d suggest taking a walk around Stanley Park to discover it’s three most haunted places. Yes. He is supposedly a very cheeky ghost, indeed.